A motor’s rotor must turn slower than the rotating magnetic field in the stator to induce an electrical current in the rotor conductor bars and thus produce torque. When the load on the motor increases, the rotor speed decreases. As the rotating magnetic field cuts the conductor bars at a higher rate, the current in the bars increases, which makes it possible for the motor to withstand the higher loading. Motors with slip greater than 5 percent are specified for high inertia and high torque applications. NEMA Design B motors deliver a starting torque that is 150 percent of full-load or rated torque and run with a slip of 3 to 5 percent at rated load. Energy-efficient motors, however, are “stiffer” than equivalently sized standard motors and tend to operate at a slightly higher full-load speed. This characteristic is illustrated in Figure 1, which shows the full-load speed for 1,800 RPM standard and energy-efficient motors of various sizes. 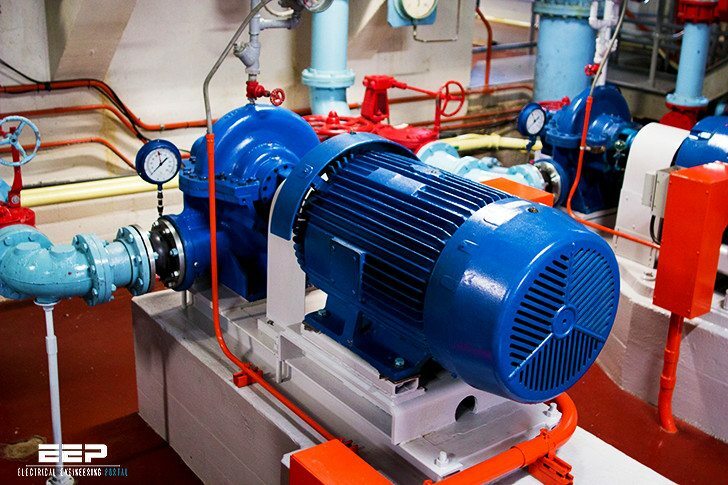 On the average, energy-efficient motors rotate only 5 to 10 RPM faster than standard models. The speed range for available motors, however, exceeds 40 to 60 RPM. For centrifugal loads, even a minor change in the motor’s full-load speed translates into a significant change in the magnitude of the load and energy consumption. The “Fan” or “Affinity Laws,” show that the horsepower loading on a motor varies as the third power (cube) of its rotational speed. In contrast, the quantity of air delivered varies linearly with Speed. A relatively minor 20- RPM increase in a motor’s rotational speed, from 1,740 to 1,760 RPM, results in a 3.5 percent increase in the load placed upon the motor by the rotating equipment. A 40-RPM speed increase will increase air or fluid flow by only 2.3 percent, but can boost energy consumption by 7 percent, far exceeding any efficiency advantages expected from purchase of a higher efficiency motor. Predicted energy savings will not materialize – in fact, energy consumption will substantially increase. This increase in energy consumption is especially troublesome when the additional air or liquid flow is not needed or useful. Plz let me know what are the problems that occur in a 3 phase induction motor stator & rotor (both phase wound & Sq. cage) when it is run for a long duration. Could we omit the GCB(Generator Circuit Breaker) of a 160MW Combined Cycle unit (with a 160MW Genarator and a 200MVA/230/15.75kV Unit Transformer)? Can anyone explain me deeply TYPE2 co-ordination. 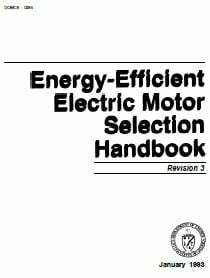 (selection & setting of OLR, contactors, fuses..) Or please give a reference book. Sorry for problem, we are having difficulties with service Box.com. It will be fixed as soon as possible.